I was looking at game play videos of the Macross Ace Frontier game for the PlayStation Portable(PSP) and was blown away with all the action. Sadly though I have no PSP. So no platform to play Macross Ace Frontier on, I think you can Download a PSP emulator but its unsure if that game will actually play on an emulator. The most popular Play Station Portable Emulator seems to be the Potemkin. But if I decide to buy just the game, I still have to worry about how to transfer the game to the PC. It still seems like a gamble. The other option is to befriend somebody with a PSP, hahaha... user! Then again, I think I'm too old already to be playing video games. Game can be bought here, even if you aren't in Japan. 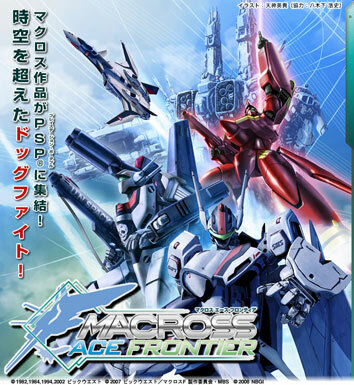 Macross Ace Frontier is basically a 3D shooter action game. 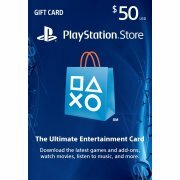 It boasts of the multiplayer capability of allowing up to 4 players playing against each other. The game was developed by Artdink for Bandai Namco. Artdink also created some other similar games for the Gundam series, so they use the same engine and gameplay style. The Japanese version of the game was initially released around October 2008 in Japan. Based from the official site, the game sells for about Y 5,040 yen. The game dives deep into the Macross Universe by showcasing well loved characters and Mecha spanning the entire 25 years history of the Macross Franchise. Be it from the UN Spacy, New UN Spacy, Zentraedi, Varauta, Anti-UN and Vajra, they're there. I just love the Macross Ace Frontier PSP game commercial with Sheryl Nome and Ranka Lee.